This is the top cause of punctures. Even though commercial roofs often have equipment on them, such as HVAC machinery or exhaust fans, most roof installations have no reinforcement around these equipment parts. Therefore, the roof and its membrane are stressed when workers go up to fix the equipment. On top of that, tools or equipment parts are commonly dropped during the repair work. The stress from the foot traffic combined with impact from dropped items can easily lead to punctures or tears in the membrane. Animals like birds, squirrels, raccoons, and even cats love to go onto rooftops. Unfortunately, they also love to peck and scratch at the surfaces. This can easily lead to punctures. Storms, unlike the other sources of damage, tend to be obvious culprits. A big hail storm can puncture the roof, while a windstorm can pull up its layers. Big storms can also dislodge mechanical equipment, blow debris, and otherwise cause objects to move in ways that directly harm the roof. 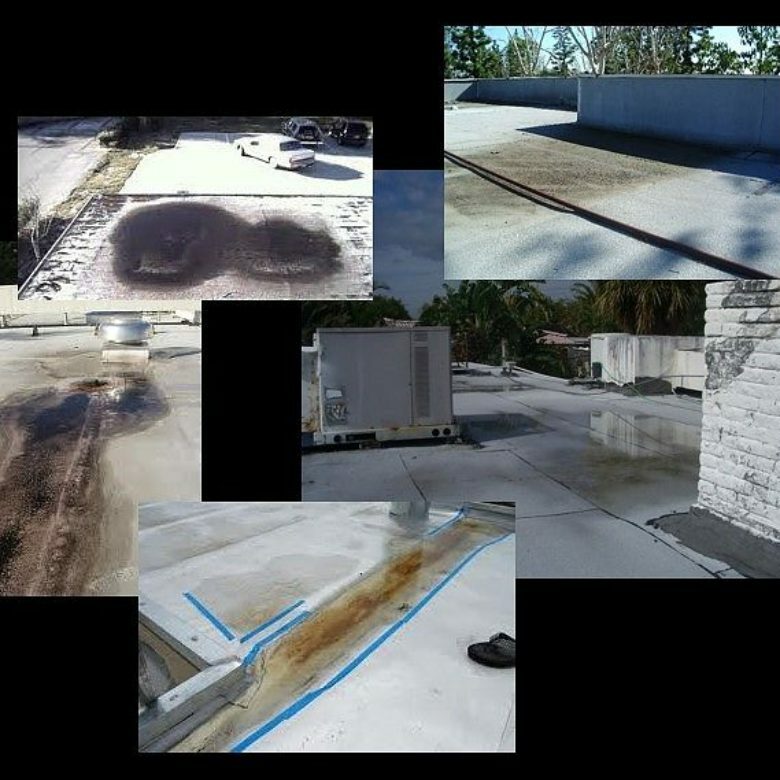 If a roof has a lot of service traffic, it’s a good idea to use thicker membranes and extra plies in order to directly strengthen the roof. Walkway pads should be installed around mechanical equipment and the path people will take to reach it. The latter should be done even if foot traffic is rare. Educating mechanical workers is also important. Teach them the best way to work on your roof and make sure they follow the right procedures. 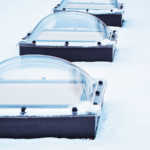 If the roof is still under warranty, remind them of this and tell them that the roof is actively monitored. This will encourage them to be careful with their tools and other potentially-damaging items. Add warning stickers to the roof hatch and to mechanical items as well, so people are reminded to be careful of the membrane. Make sure the stickers stand out from standard warning labels so they’re less likely to be ignored. It’s also important to remove clear hazards to the roof. Properly bolt down any equipment that has loosened. Also, trim trees that are near the roof so that storms don’t have as much debris to hurl at it. 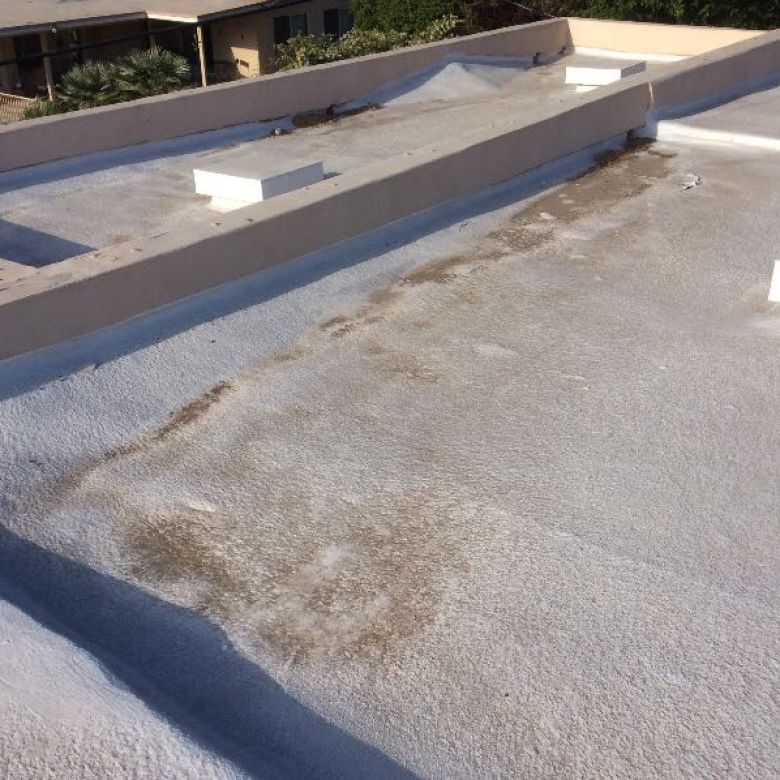 Even with the best precautions, roof membranes can still get punctured. Fortunately, this doesn’t mean that the entire roof has to be redone. Often, the membrane can be patched instead. The specifics of the patch depend on what type of membrane is involved. With some membranes, the patch is applied over the spot where the hole is, while with others, the damaged area is cut out and then replaced. When applied patches are used, the affected area must first be thoroughly cleaned. Special solvents are made for this purpose. This ensures that the new material will stick properly. The patch itself will usually be made by covering fabric with hot tar and then feathering the tar into the surrounding area to make a seal. Gravel is then put on top of the tar to protect the new area from weathering. To avoid frustration and ensure a good fix, make sure to use top-quality repair materials. Contact us to learn more about other roofing problems, specifically ponding water and get information on our products and services. 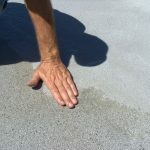 Our product for correcting ponding water offers an easy, quick method for filling in low areas on flat roofs for obtaining a positive slope.